This is a one of a kind food that you should immediately start adding to your diet as often as possible. 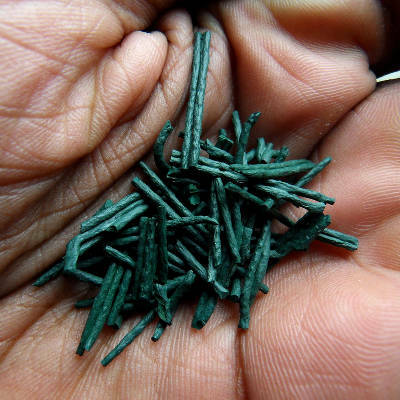 Spirulina is mainly found growing in the alkaline lakes of Central and South America. It’s now recognized as one of the most nutritious foods in the world, as it contains all the essential amino acids so important to maintain and enhance health, including five of them that the human body cannot generate on its own, as per a study conducted at Kansas University back in 2005. It’s quite fascinating to note that spirulina’s overall content actually consists of approximately 60% proteins by dry weight, therefore surpassing all other plant products and even red meat’s average of 27%. These proteins are highly digestible; therefore, a high amount of them are absorbed and utilized by the body in the end. Spirulina strongly promotes the body’s natural cleansing and detoxification. It greatly helps strengthen the immune system by encouraging and facilitating the production of red and white blood cells or other cells in charge of killing unwanted germs and viruses. Its high antioxidant content also explains the praise that it gets for being such a formidable immune system booster.